An AmigaOS 4.x port of the AHI-Handler executable used for AHI's AUDIO: device. Using AUDIO: you can play audio on your Amiga by using just normal file i/o calls. Plays CD audio tracks. 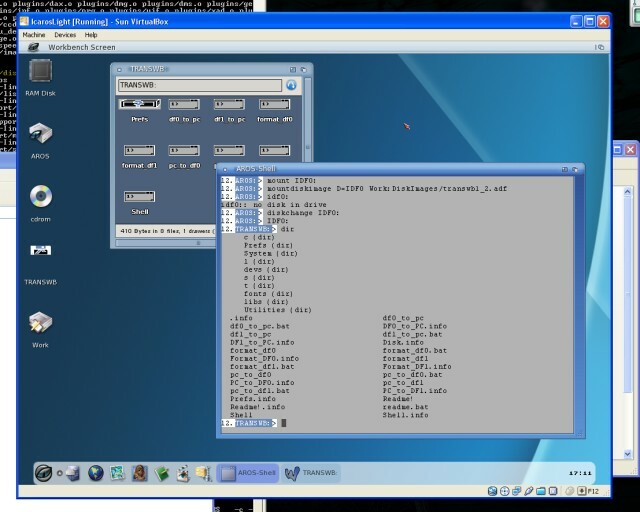 The 16-bit CDDA data is read using the READMSF command and then played through AHI instead of using the old and obsolete playback method which requires a cable to be connected from the back of the CD/DVD drive to some pins on the computer's sound card. A small commandline tool for setting and changing the region setting of your DVD drive. It can also be used to see what region the drive is currently set to and how many times it can still be changed before it goes permanent. Shows a splash image while a program is loading. Included with Joerg Strohmayer's AmigaOS 4.x port of OWB.